News has just reached us that WA/DL Captain David Jon Carlson passed away yesterday, March 24th, at his home in Farmington UT. 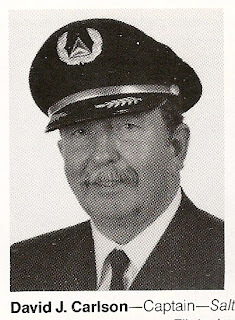 Born March 21, 1935 Captain Carlson had just reached his 78th birthday at the time of his passing. Captain Carlson hired on with Western 06-01-1960 and retired with Delta based SLC. Note/update: we have now been advised that there will be no services as was the request of Captain Carlson.